Since early in China’s history, there have been studies focusing on ancient place names. Since the formation of modern toponymy, more and more scientific and diverse research methods have been applied. Since the launch of the China Geographical Names Cultural Heritage Protection Project by the Ministry of Civil Affairs (MCA) in 2004, the protection and research of toponymy has attracted wide attention from academic circles. There are more than 100,000 ancient place names covering China’s existing political districts, settlements, mountains, rivers and roads. Tan Ruwei, a professor at the Cultural Geography Research Center at Tianjin Normal University, said that toponymy contains not only geographical phenomena, but also social and cultural phenomena. For example, Shanxi Province is named after its location, the west of Taihang Mountain, while the name of Lhasa City has its own cultural connotation, namely, “the holy land” in Tibetan. Peng Xuekai, the chief expert and a research fellow at the Research Base of the Toponymy Institute of the MCA at Hunan University of Technology, said that research on geographical names is the key to unlocking the history of Chinese civilization. That’s because the generation, naming, evolution and stability of a geographical name are comprehensive reflections of natural, social and human history. For example, Lingshi County of Shanxi Province is named after an ancient meteorite discovered in the excavation of a canal in 590. In recent years, activities such as finding the most beautiful place names and name collection for new landmarks have been held spontaneously throughout the country. Zhang Zuqun, an associate professor at the School of Design and Arts at Beijing Institute of Technology, said that place names are not only literal, verbal or graphic marks used to nominate natural landscapes and landmarks, but also a generation’s cultural identity and nostalgic connection to previous generations. 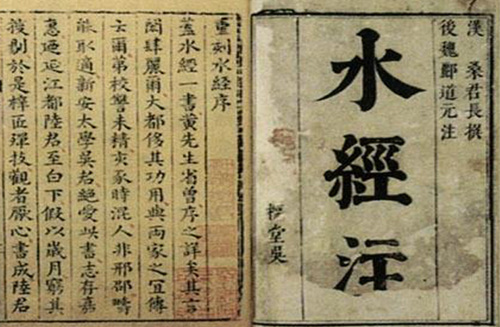 There are records of place names from very early in China’s history. Hua Linfu, a professor at the Institute of Qing History at Renmin University of China, counts in The Source of Chinese Toponymy that there are more than 1,100 place names in Book of Mountains and Seas. The only slightly over 1,000 charatcer text Yu Gong has over 130 place names. The text that records the most place names is the Shui Jing Zhu, which has a total of 15,000. In modern times, a large number of unearthed archaeological materials have enriched toponymic research literature. Tan added that the perspectives of toponymy research come mainly from three aspects: geographic research, historical research and language research. Toponymy research from a geographical perspective includes research on the location of ancient place names and the use of these names to trace the geographical evolution of regional development and cultural landscape in a certain historical period. Toponymy research from a historical perspective is helpful for the study of politics, economy, military, culture and folk customs in a region’s particular historical period. It can provide informative historical data to explore ethnic distribution, population migration, psychological customs, ancient Chinese language and even dialects. Toponymy research from a linguistics perspective focuses on the analyses of the words that constitute place names from the perspectives of lexicology, etymology, grammar, phonetics, semantics and philology and then the study of their derivations, voices, meanings, character patterns and evolution. Peng said that from the perspective of discipline construction, the study of toponymy mainly involves the basic theory of toponymy, the history of toponymy literature, the prehistory of counties, the history of regional divisions, toponymy culture, the textual criticisms and explanations of toponymy, toponymy planning, toponymy management, toponymy standardization, toponymy translation, toponymy digitization and the informatizationalized filing of toponymy and its digital management. In the future, the discipline construction of toponymy needs to be gradually improved and developed. Zhang added that the rash change of place names without comprehensive argumentation is a mark of disrespect for local values and a separation from history and culture. When dealing with geographical names with cultural heritage, we should follow two basic principles: To respect heritage, namely, places named after their residents; and to benefit the masses and social and economic development.